Low water pressure – this could be caused by a number of things. There could be sediment build-up inside the pipelines. This is a normal occurrence with tankless heaters which is why it is recommended to have maintenance done to prevent the build up from becoming a hassle. We will flush out and descale the system so it can run normally again. Once the build-up is removed, water pressure will return to normal. 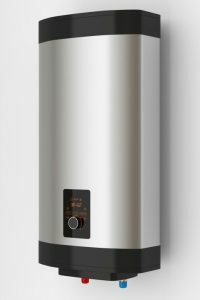 Gas line problems – One thing to keep in mind is that a tankless water heater requires larger gas pipelines in order to work more efficiently. If these pipelines are not installed correctly it could cause leaks, low water pressure, or inconsistent water temperatures. The heater is too noisy – the fan in the heater may need to be cleaned or replaced. Another issue may be a leak in the sealed combustion area of the heater. Proper maintenance will help avoid issues like these from happening. Water isn’t hot enough – The water not getting hot enough could be caused by a clog in the water filter or a problem with the plumbing crossover that is allowing cold water to mix in the water that has already been heated. We can inspect the heating equipment to find the cause and get it fixed for you in no time. Sunset West Plumber & Rooter is available to fix tankless water heaters as well as tank water heaters in West Los Angeles, Bel Air, Beverly Hills, and Pacific Palisades, CA. If you would like more information on heater repair and installation, give us a call today. (310) 454-2010 We are happy to answer any questions you have. Updated on June 22, 2016 at 3:59 pm by Sunset West Plumbing & Rooter.